Who has two thumbs + edited these photos but forgot to upload them in time for last Thursty Thursday? THIS GIRL! So. 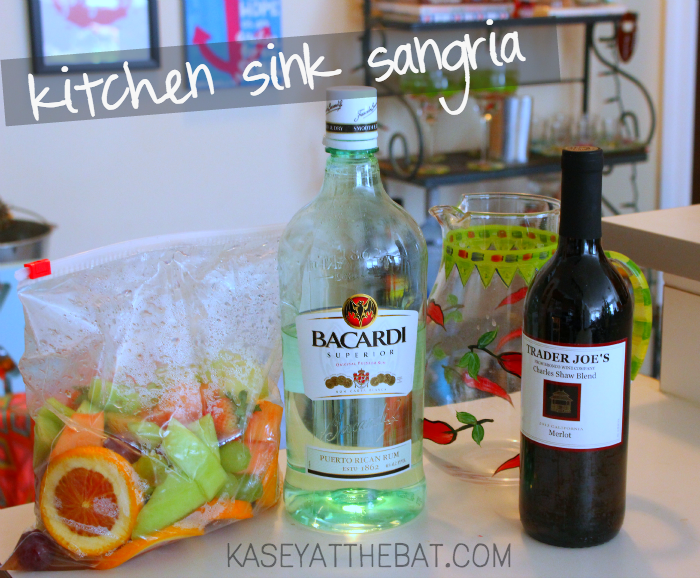 Let's talk sangria. They say necessity is the mother of invention, and that's what happened a couple weekends ago. I went to a wedding shower and some how came home with like pounds of fresh fruit. 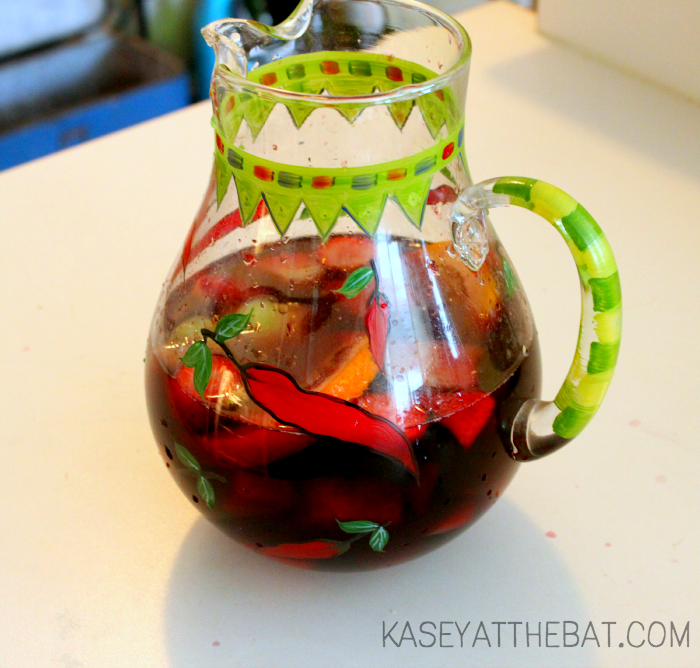 I wasn't going to be able to eat it all before it went bad, so obviously it meant it was sangria time, right? So, I'm not too worried about the arsenic or whatever in two buck chuck. I'll gamble with it. So, I like I said, I came home with a bunch of fruit. I had some rum, grabbed two bottles of merlot from TJ's, and went to work. I checked pinterest + found all sorts of fancy recipes, but decided to go for it. I mixed all of this in that super cute [margariiita] pitcher, covered the pitcher with plastic wrap, and let it sit over night! You know, so the fruit gets good + boozy. It. Was. DELICIOUS. you know, if I do say so myself.... Also, please notice the mess I made trying to pour the wine in the pitcher. Why anyone thought it was reasonable to make countertops white is beyond me. What are you sippin' on this Thursty Thursday?